There’s no better time to visit Toronto than when the city’s reawakened (though it never really sleeps these days) with the melting of the snow and the stashing away of our Sorel boots for the season. You’re going to need all the energy you can get for a jam-packed day. Given Toronto’s number of fabulous bars and restaurants, odds are that you’ll be nursing a hangover from the night before. But you don’t want to waste any of your precious time in those hotel (or Airbnb) sheets. That’s why you need to fuel up on coffee. 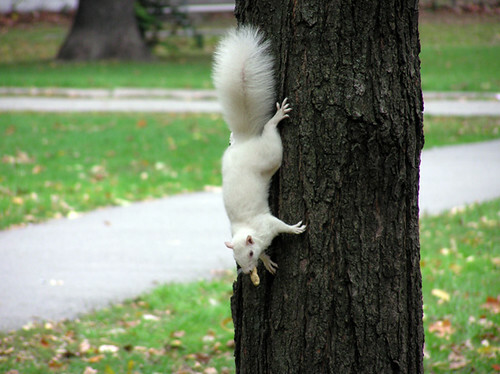 Make your way to Queen Street West and pay a visit to the artist-filled White Squirrel. Not only does the indie coffee spot serve up some quality caffeine (which is fair-trade and organic), its coffee sleeves are denim and handmade, and your coffee usually comes with a side of oldies music. 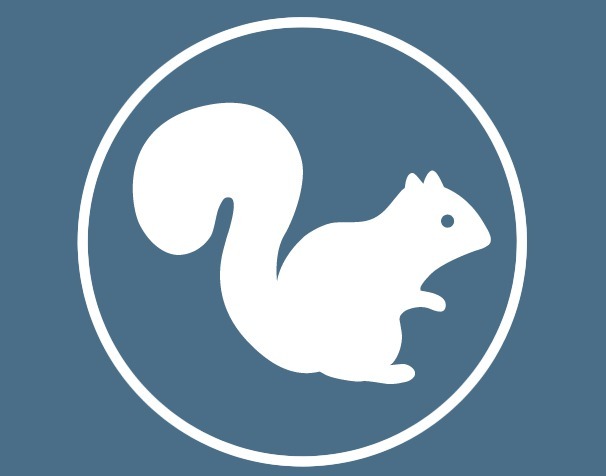 After White Squirrel, see whether you can spot the real-life “white squirrel” directly across the street (yes, it really exists) in the famous and sprawling Trinity Bellwoods Park. You can take in the morning sun as you enjoy the park’s eclectic vibe and make friends with some of the neighbourhood’s many dogs and their happy hipster owners. From Trinity Bellwoods, walk east along Queen Street. It won’t be long before you realize why the neighbourhood’s known for its colours and characters alike as you check out the selection of unique boutiques, bars, restaurants, and furniture shops the street has to offer (keep in mind that most shops don’t open until 10am). From there you can either walk, streetcar, cab, or Uber to your next destination, just down the street to Dundas Street West and McCaul Street. Pick up a dose of culture at the famed Art Gallery of Ontario (AGO), one of the most impressive art galleries in the county. On right now until May 29 is Outsiders: American Photography and Film, 1950s-1980s, a photo-filled exhibit depicting the life of decades of post-war “outsiders,” from biker gangs to cross-dressers. In the event of perfect spring weather, don’t worry, the exhibit will only take up about 1.5 hours of your precious day. A short drive away from the AGO is Gusto 101, one of the city’s most loved Italian restaurants. Here, you can indulge in one of their famous pizzas, or seriously hearty and satisfying salads (plus more, obviously), while you do lunch properly on the rooftop patio – even if it’s not quite spring weather – thanks to its retractable roof. Next, a short drive east through the city’s Financial District, you’ll find the iconic St. Lawrence Market. Though you’re probably not in the mood to grocery shop, you should at least walk from one end of the historic and longtime Toronto landmark market to the next. Keep in mind, however, that the market is closed on Sundays and Mondays (though the exterior still makes for a great photo op regardless). Here is every reason you should be going. Across from the St. Lawrence Market on Market Street, you’ll find another coffee shop called Balzac’s Coffee Roasters. Grab a quick coffee to-go (while admiring the impressive floor designs) and head south on foot down Jarvis Street to Sugar Beach. Sip your coffee while relaxing on a famous Muskoka chair, under one of the urban beach’s signature umbrellas as you stare at the sailboats on Lake Ontario. Next, you can either walk or drive a few blocks east to the city’s historic Distillery District, which was the world’s largest distillery in the world way back in the day. In addition to the history-rich buildings, here, you can scope out the unique assortment of celeb-loved accessories at Guilding the Lily, spruce up your spring wardrobe at GotStyle, or enjoy a late afternoon glass of wine with oysters at Cluny Bistro. For some seriously delicious eats (made by Toronto’s famed restaurant group, Oliver & Bonacini), complete with unmatched views, check out the financial district’s Canoe, located 54 storeys above the city streets on the top of the TD Bank Tower. Though it’s definitely not light on the wallet, trust us when we say that it’s a way less ‘typical tourist’ way to take in the city’s views (yes, we’re talking about you, CN Tower). For after-dinner drinks, and a mixed bag of everything you could possibly want in one – from a rooftop patio, to underground live music, and a photo booth – head back to Queen West and hit up The Drake Hotel. As an added bonus, if you’re in need of a late-night snack to soak up the booze, just down the street, Poutini’s House of Poutine has hands down some of the best poutine in the city. While it may seem a little ambitious, all of this can be done within a day in the ever-vibrant city – even when Toronto traffic is taken into account (yes, it will be the worst part of your day). But hey, even the perfect spring day has to have a few clouds. Luckily, champagne lunches help them all float away.